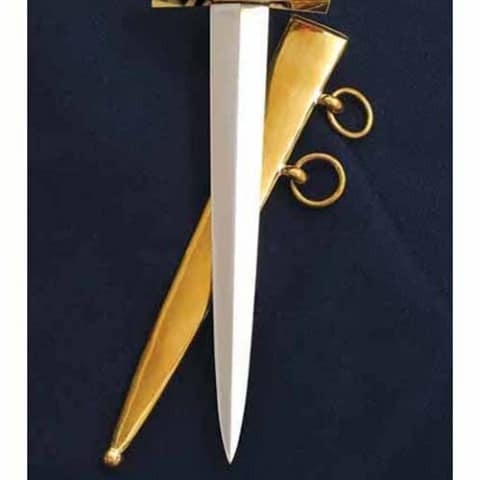 The Petty Officer’s dirk designed to compete with the Officer’s sword. Features fine bine grip wrapped with twisted brass wire. 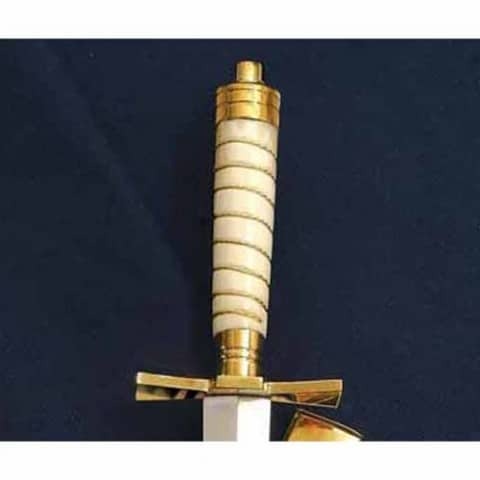 Solid brass pommel and brass guard. Keen high carbon blade snugly fits into the brass scabbard. 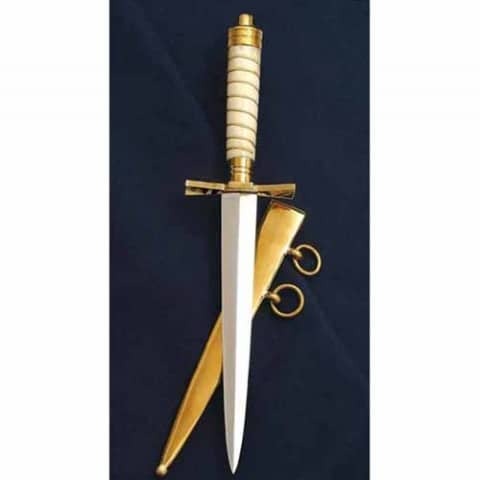 Add this very nice dirk to the collection.